Everyone has hobbies, right? Some women like to shop, my hubby likes to hunt, etc. etc. I guess I’ve finally realized what my hobby is; recreating old pieces! So when I stumbled upon a post from Pinterest about converting a JENNY LIND CRIB TO A BENCH or DAYBED, I knew my next project. I had an old Jenny Lind crib that has been sitting in my moms attic for the past 5 years. 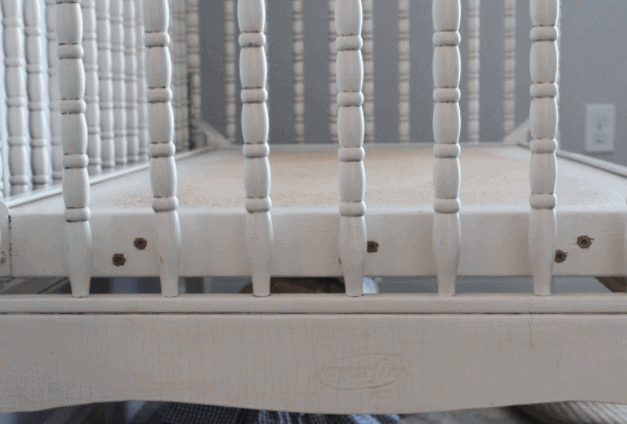 It was time to repurpose this antique piece and convert this Jenny Lind crib to a bench or a daybed. In the next few days I’ve brainstormed how I would cut down, fasten, saw, refinish and recreate my old crib. After about a month of trying to wrap my mind around a real simple way to do this, I started getting discouraged because this project looked like it would be a little more labor intensive than I realized. With two active toddlers, my time is VERY valuable, and there isn’t much of it, so I decided that this project might have to move to the back burner. And then a light when off in my head (yes, sometimes this happens)- I had an idea; I had two sets of oversized outdoor cushions that I really wanted to get rid of, but I thought they might just be the perfect size for my crib. YEP!!!!!! This was perfect because now I didn’t have to cut the crib down. My vintage Jenny Lind Crib would serve as an oversized OUTDOOR BENCH. 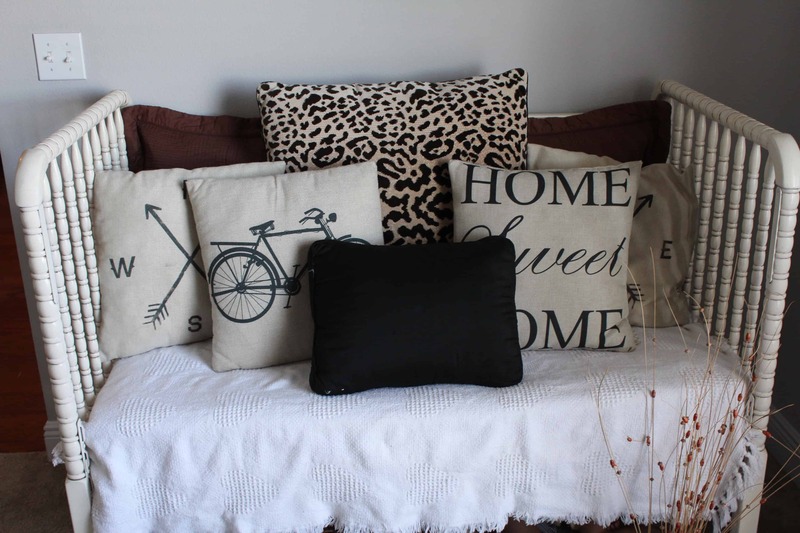 I was so thrilled, not only was there not much labor for this project, but I had two great cushions to use. Since the cushions were not my style, I decided to paint them, and you can see that post on painting outdoor cushions HERE. After much thought and deliberation, I decided NOT to make the sides of this bench lower than the back. I might change my mind soon, but for now I decided to leave the sides alone. So if your wondering if I really had to do anything to create this bench other than remove the front piece, well the answer is no. The one thing I did do to create this BENCH FROM A CRIB is to reinforce it. After all, I don’t know that a crib was made for a 300 LB man to sit on. In the picture above you can see where I screwed 3 pieces of wood (scrap wood I had in my garage) to the crib. Refer to the picture below to see the placement of the screws. You can see where I used two screws per piece of wood and screwed them into the “bed” of the crib. Now that it was safe for a large human to sit on, I was ready to convert my new bench from a crib! 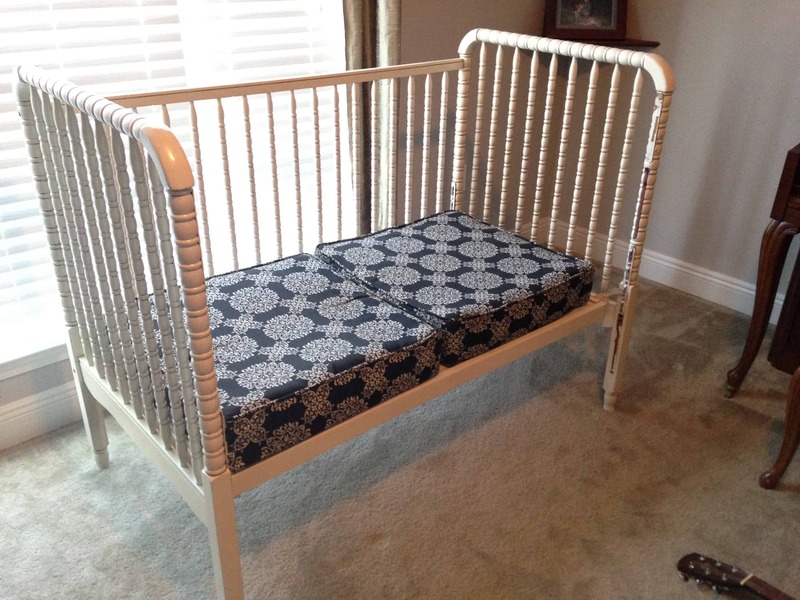 Here is my vintage CRIB TURNED BENCH or DAYBED! What do y’all think? 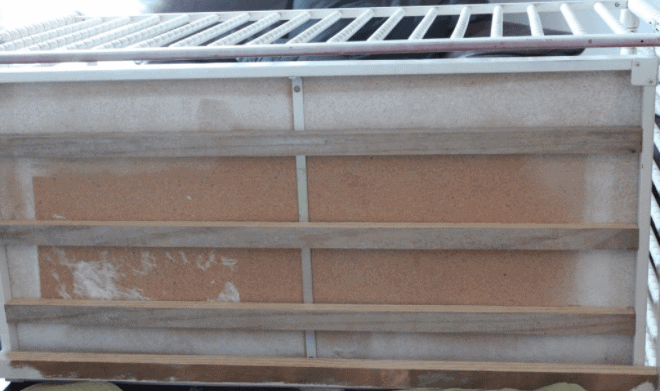 Daybed or outdoor bench? I think you’ve made it quite beautiful. I think it may be better suited for outdoor seating, but it works as a daybed too. Thanks Crystal, and yes I think I will eventually use it for outdoor seating. This awesome!! Exactly the tutorial I was looking for! The only problem is some of the pictures are missing, like they didn’t upload or something? Are you able to email them to me? Thanks! Hi Jennifer! I’m glad you find this tutorial helpful, now explain to me what you mean. Are the picture from the site not showing up on your computer or mobile device? Super cute and inviting! I grew up with Jenny Lind beds, which my mom still has stored in her garage, so someday maybe I can do the same. Once she gives me permission to paint the wood, lol! Visiting from Nifty Thrifty Sunday. Loving this idea. Thanks for sharing! Oh I love this!!! I think it will look gorgeous no matter where it ends up! I’d not actually heard of Jenny Lind, so I have no idea if her cribs are something especially different or fancy (I’m in the UK, maybe we don’t have them here or maybe the whole thing has just passed me by) I do think this is a great idea though. So often an old crib just sits in a garage doing nothing, much better to make something attractive and useable from it. This looks great and the reinforcing the base tip is brilliant, I may have not thought of that with disastrous consequences! I vote inside daybed bench 😀 It looks beautiful. I love the way you’ve styled it Lindsey and re-inforcing the bottom is probably a really good idea. That looks good Lindsey, love it! What a brilliant idea, Lindsey! It turnout out beautiful! I love it, my friend! What a great idea- totally changes everything. I had a Jenny Lind crib for my daughter. I love the upcycle. I’ve been looking for a headboard to convert. I’m going to keep my eye out for a crib too. Thanks for the inspiration, and sharing on Sunday’s Best. Thank you Rhonda! Have a great night. How cute! I think it looks adorable with ways, though the daybed looks less crib-ish, if that makes any sense. Thanks so much for sharing at the #happynowlinkup! This is super cool! I love taking old things and making them into new things! Pinned it–thanks for linking up! WOW, This is inspiring! I wanted to do this but have no clue how to go about it. My sons’ crib still sitting unused in our store room. One day (yes one day) I will do this ! Thanks for a great post ! Cool! I have a similar crib in my mother’s house (leftover from when my daughter was a baby and spent the day there). Maybe I need to do something similar. Thank you for sharing at The Really Crafty Link Party. Pinned! Hey, Lindsey! 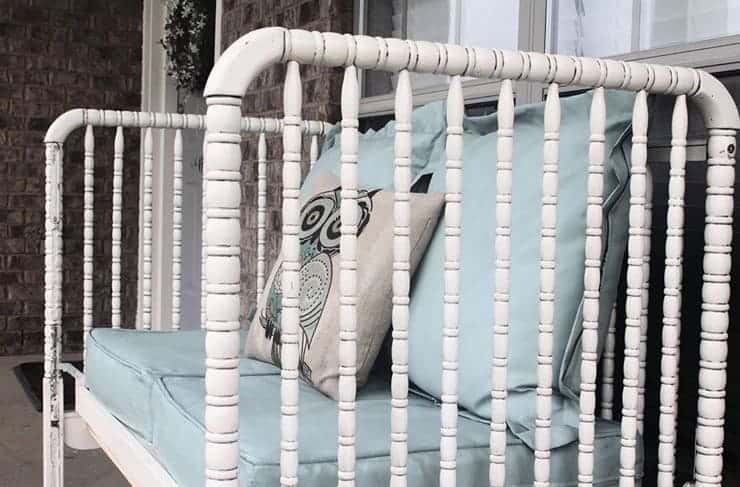 Just wanted to let you know that we loved your How To Convert A Jenny Lind Crib To A Bench Or Daybed so much when you shared it at the #HomeMattersParty last week, we’ve FEATURED it THIS WEEK! Hope you can check it out when you get a sec. Happy Friday!!! Thank you Lorelai! I hope you are doing well friend. Love this DIY. You are a women of vision! 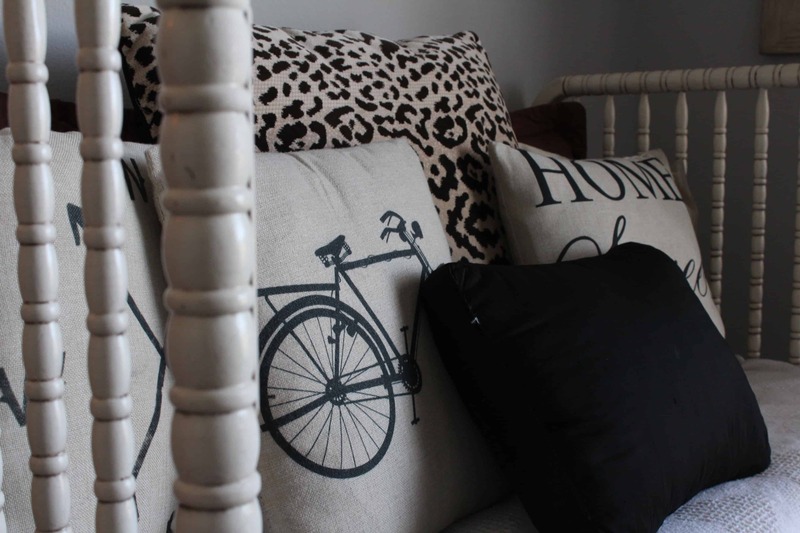 Found it on #HomeMattersParty – pinned, of course! Visiting from creative circle. Love what you did to this crib. Such a great idea. This piece turned out beautiful and I love that you shared at Dishing it and DIgging it link party. You are one of our features this week. Thank you again for sharing. Such a pretty idea! I’ve been wanting to do this. Wow! Well done you! I love doing things like this and making something old look new and useful again. Just to let you know that lots of the photos weren’t loading for me, I’m not sure why, I saw the finished product and it looks great. Thanks for linking up to the #bigpinklink this week. Thank you! And thanks for letting me know about the photos, I’ve had someone else say the same thing. I’m going to look into that now. Personally, I’d hate to see that land outside, even if it was in a covered area. It’s so pretty how you have it styled. I’d vote for in. 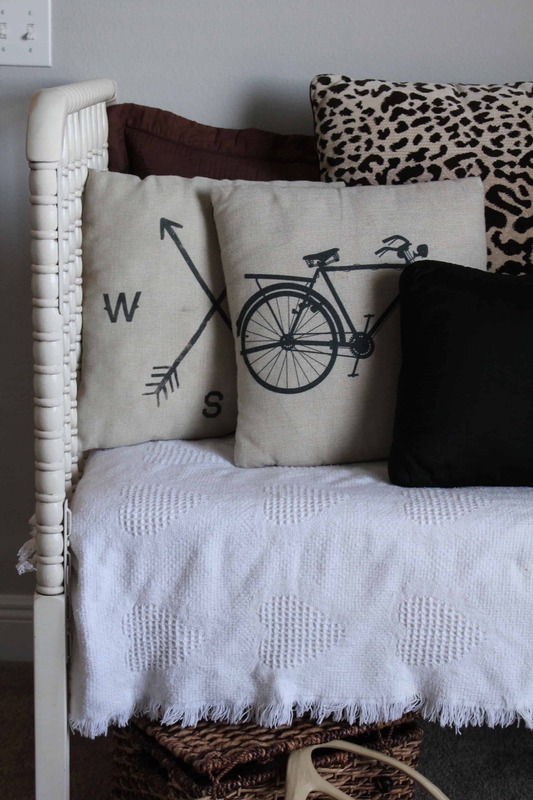 I absolutely love this fun upcycle project Lindsey! You did such an amazing job.Thank you so much for sharing with us at Dishing It & Digging It & congratulations on being featured this week! I love it! This is a great idea and so creative! I would have never thought to do this with a crib! Great project! It is my favorite for the week for Totally Terrific Tuesday and will be featured tomorrow. Thanks for linking up with us! This is awesome and beautiful! Thanks for adding this to the To Grandma’s House We Go link party! Remember to follow all of us, and we hope to see you again this Wednesday! I just adore how this turned out! And I have that exact same throw blanket with the hearts <3 Thanks for sharing this on The Farmhouse Friday Link Party! 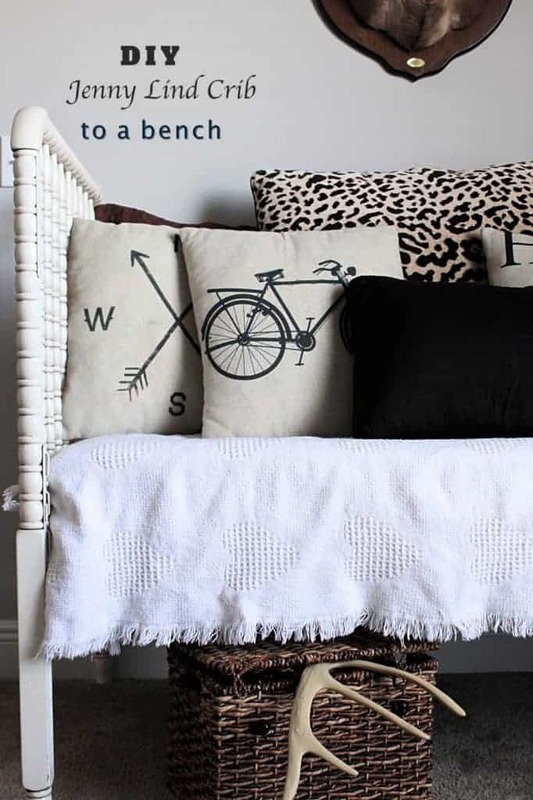 This idea looks so cozy and the smaller size of the crib would be very handy to add some extra seating. Really cute transformation! Thanks for sharing it with SYC. This turned out beautifully! Thanks for sharing it with us over at the Homestead Blog Hop!